This large methodist chapel was built in the late 19thC on Oak Lane, Kerridge. It was out of church use and converted to a domestic property in 1982. It seems that fund raising for its construction went on for almost 60 years. A subscription list opened in 1839 shows that the Swindells family were particularly generous in their donations towards construction of the church. It seems that many of them would not have lived to see the finished building, pictured right in 1896. These subscriptions alone added up to 740Gns (£777.00). A memorial plaque to those members of the Kerridge Methodist Sunday School who were killed in the two wars was originally installed at this church, and on closure in 1982, it was moved to Holy Trinity church, and on that closure was moved to St Oswald’s church at Bollington Cross. 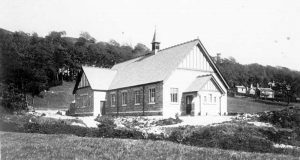 The chapel was also used as the local library in the 1950 and 60s. 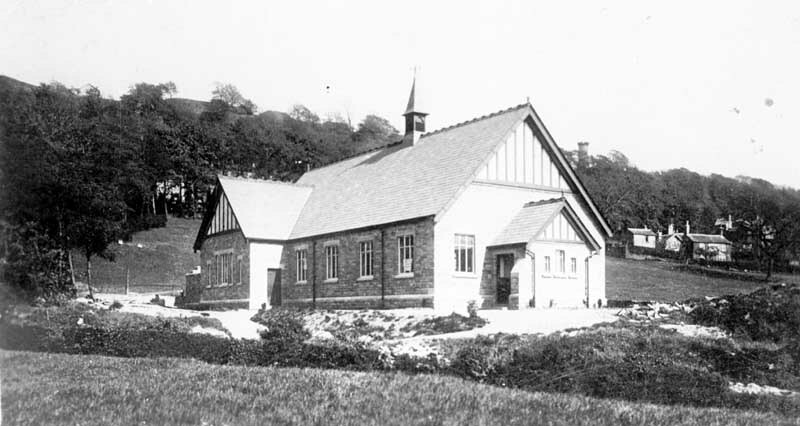 A Century of the Wesleyan Methodist Church of Bollington, W.H. Lake (1908), p47. Copy in Macclesfield Library. A Guinea was £1 1s (shilling), £1.05 today. Although it generally went out of use when decimalisation came in 1971, Guineas are still used in some auctions – the shilling was the auctioneer’s commission, but is not enough for today’s charges! Usage as a library – thanks to Mick Dickens.